Description: A very stylish Swedish 1970s 3 seat Sofa, designed by Arne Norell and manufactured by Vatne Mobler of Norway. The sofa is upholstered in genuine textured Burgundy Leather, with button detailing and exposed outside stitching around the cushions, typical of pieces designed by Norell. The piece is also raised upon a chunky and elegant Beech wood frame which terminates in a splayed sleigh base. 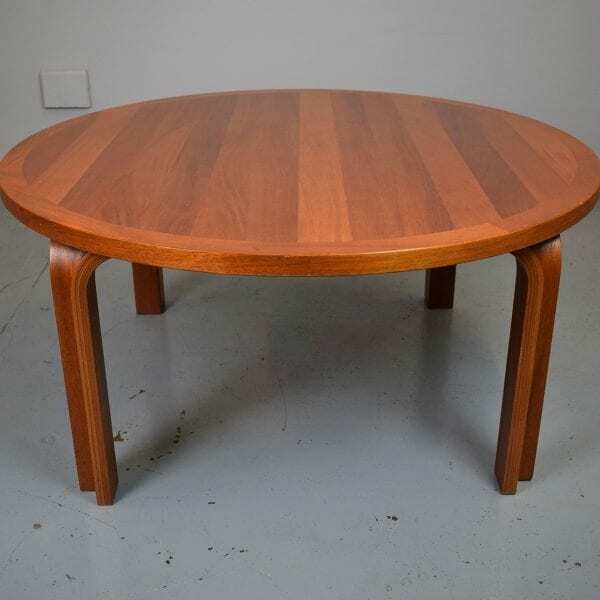 Purchased in Scandinavia, this design classic is an original piece of Mid Century furniture.